The European cosmetic industry plays a leading role in product development and is a science-driven, highly innovative sector. Every year a quarter of all cosmetic products on the market are improved or are completely new. The importance of packaging in the luxury sector is also a priority as packaging is the first sign of a level of quality for many products. 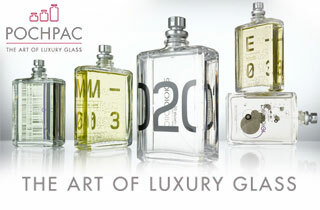 It is therefore important for fragrance firms to get the image right in order to portray their brand correctly. Aarts Plastics supports customers during the new packaging development process for injection moulded components and has developed numerous attractive fragrance caps using bespoke overmoulding technology. With this technology, Aarts totally assists fragrance clients in portraying their brands with caps that stand out on the market. Aarts has developed several systems to define the optimum means of production: the integration of tooling solutions combined with the use of 5 axis robots and side equipment creates a unique way of working and by extension a unique packaging solution. For Aarts Plastics, this has become a specialty. Our packaging engineers are always ready to come up with solutions that are fluid, easy to manage, and low risk. Another advantage of our automatic production solutions are the reliable and short lead times, production at competitive costs, a constant level of quality, and reliable and constant output. This 3D model is a simple example of what we can do. This cap has been in production for several years and consists of two different materials. The coloured ball, which can be made in many colours and colours with effects, undergoes a special treatment during the production process and is then overmoulded with Dupont’s Surlyn PC2000. This all runs automatically where the concept for production and automation has been delivered by the engineers and technicians of the company as well as engineering, construction and programming of the automation. Want to see more? Use the 3D simulator to experiment with the overmoulded cap and create your own unique version! See this cap and other overmoulded caps in person. Visit us at PCD Paris this year, booth M28.